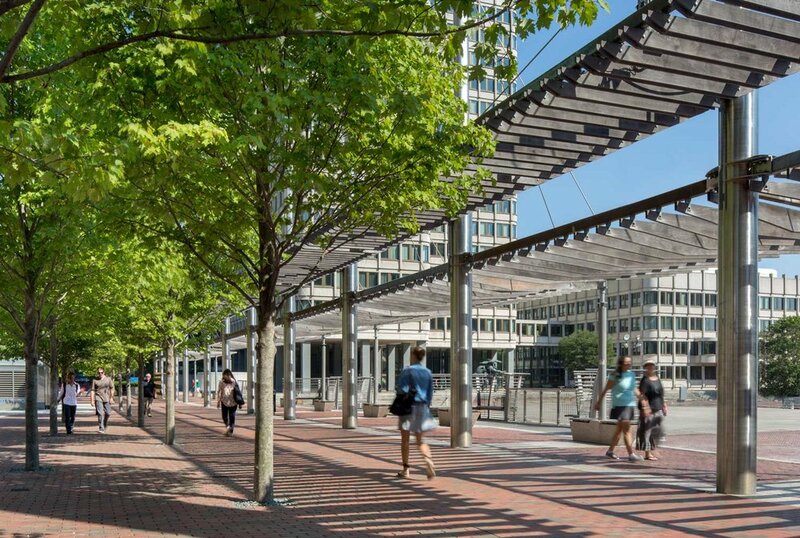 Halvorson Design, in coordination with HDR, Inc., revitalized City Hall Plaza with gathering and seating opportunities in a variety of scales and large canopy trees that welcome daily visitors to either soak up the sun or enjoy lunch in the dappled shade. 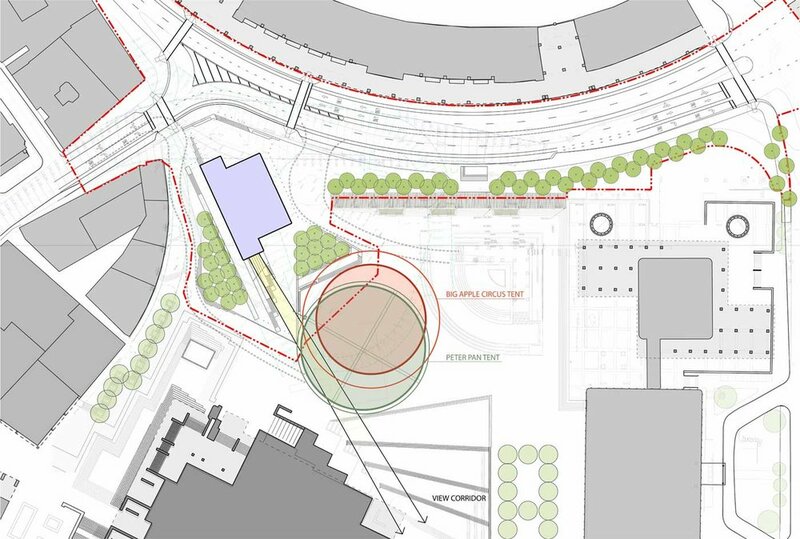 Tree bosques define the edges of the plaza, offer respite, and provide direct environmental benefits that set the tone for Boston’s resilient future. The design team took great care to respect the plaza’s Brutalist aesthetic, modeled after the Sienna’s Piazza del Campo, while remaining attentive to desires for active, urban spaces. 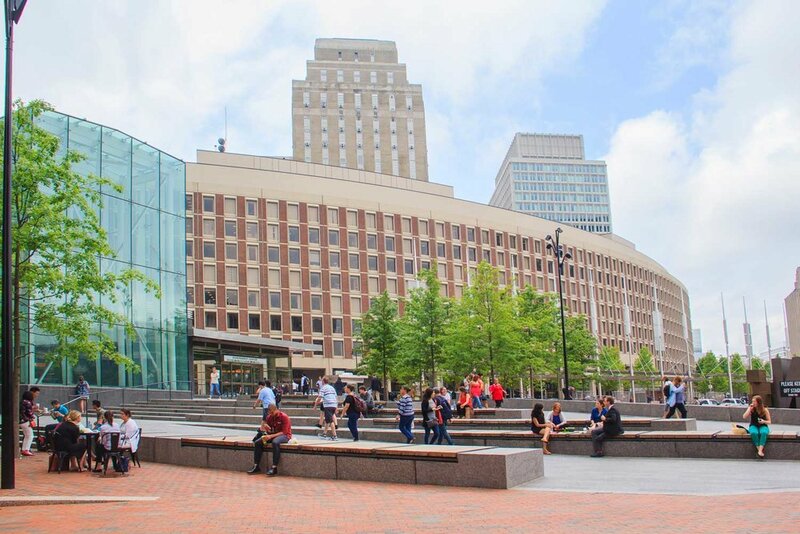 The tree bosques’ strong, defining presence softens the expansive paved space while enhancing opportunities for gathering around the new Government Center headhouse and within the plaza itself. 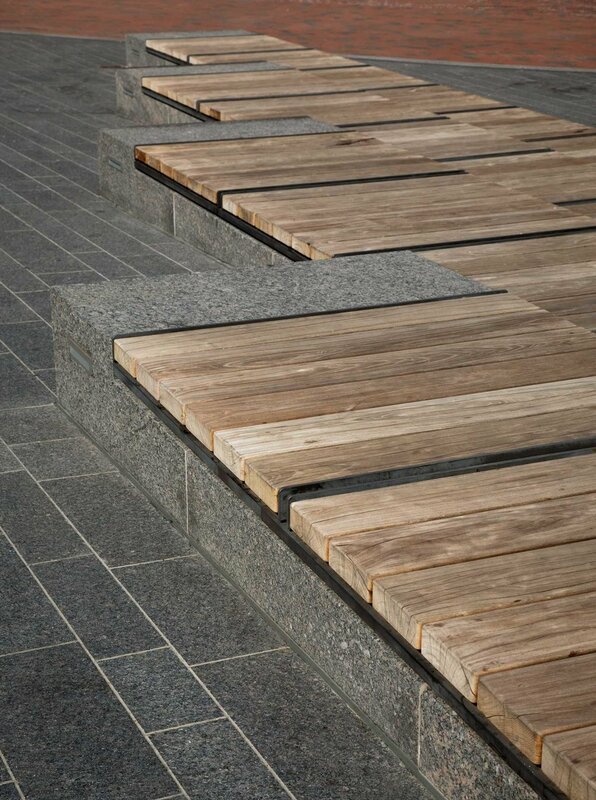 Activating the edges with green elements draws people in, allowing them to engage at a human scale. 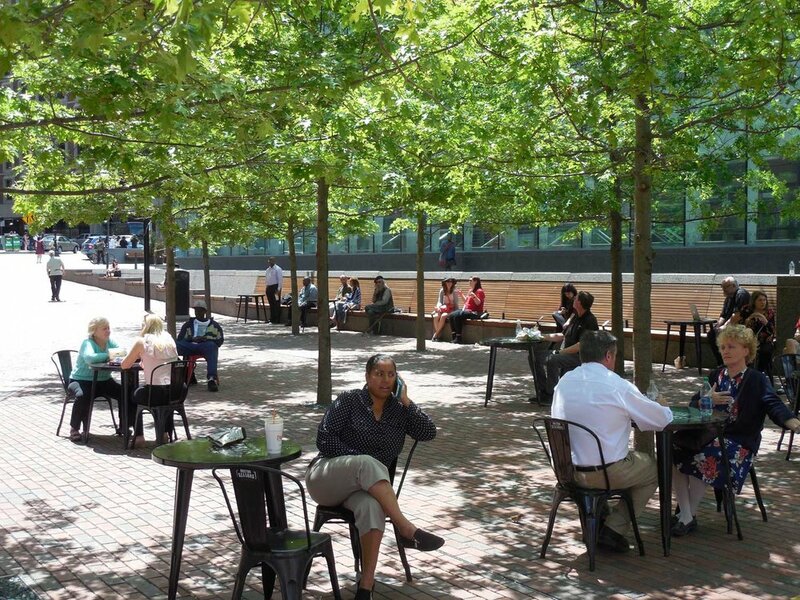 At a practical level, the trees reduce the heat island effect and are planted in an open jointed permeable paving system, increasing the life expectancy of the trees while maximizing stormwater infiltration on the plaza. 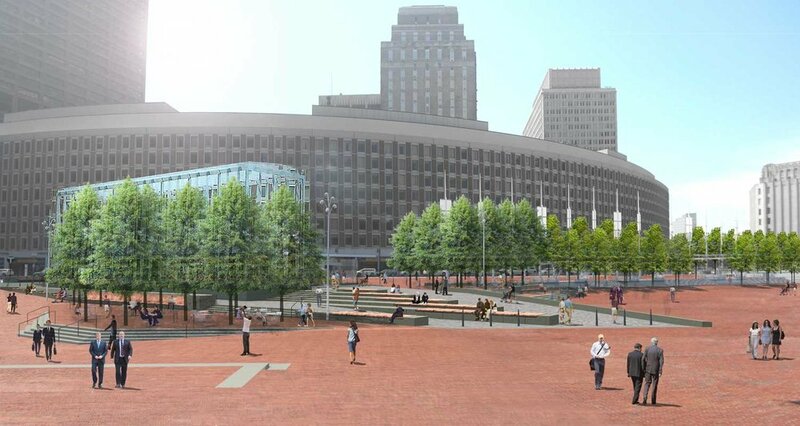 In addition to green infrastructure solutions, the improvements have made Government Center Station a true multi-model transportation hub with improved pedestrian and bicycle access via the new headhouse, bike share stations and electric vehicle charging stations. Most importantly, the existing terraced steps were replaced with sloped granite walks, resulting in universal access to adjacent Cambridge Street, the transit station and City Hall for the first time.